Don't you hate coming home from a weekend off-campus to find half of your fridge close to rotting or rancid? Money is precious when living as an independent college student, so having to chuck your fruits or veggies or crusty-turned-concrete bread away...well, not so fun! Recently, I have been away from work enjoying a small vacation to Charleston, SC with friends; but, arriving home early this morning, my fridge had a variety of things needing a date with the sink and garbage disposal. Fortunately, only one of my twenty plus little tomatoes was going rotten,. Nonetheless, I needed to act fast to salvage any of them. Tomatoes (and root vegetables like potatoes, carrots) can be on the verge of bad, and yet, still redeemable with some simple measures, i.e. roasting. Roasting coaxes out all the flavor while preserving the food so that your college budget isn't thrown out the window when you over-buy groceries or don't get around to using a perishable item. So, don't throw them out! ...to fresh cheeses or slices of toast or other crusty bread. 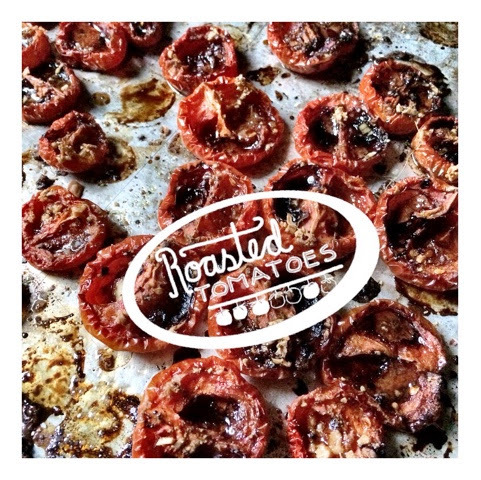 Roasting does take some time with tomatoes, i.e. nice and slow, about 1 1/2 to 2 hours. Perfect so you can take care of other things like studying, getting laundry done, etc. 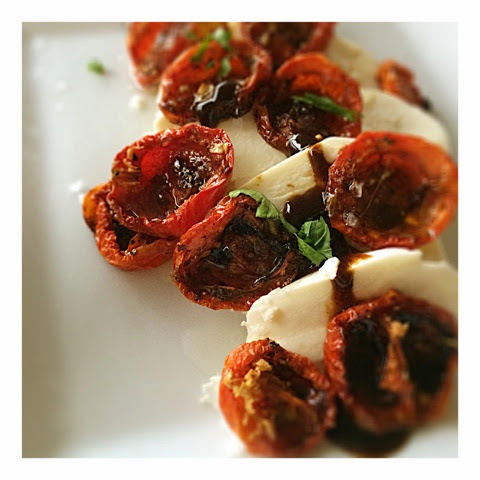 I made a quick little snack with some leftover mozzarella cheese, drizzled everything with balsamic glaze, a few herbs and my roasted tomatoes. Only thing that could have made it just a tad better...some crusty fresh baguette. 2. Preheat oven to 275F degrees. 3. 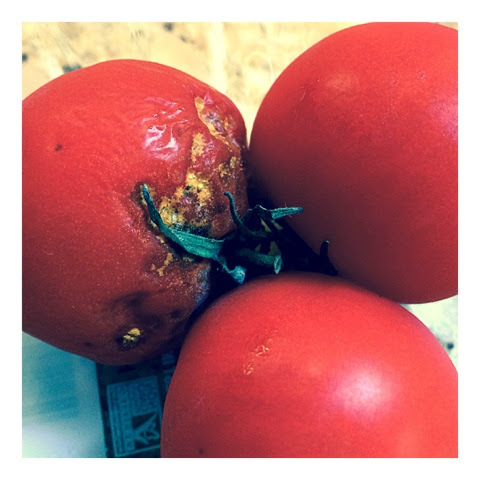 Halve and remove seeds from your tomatoes. 4. 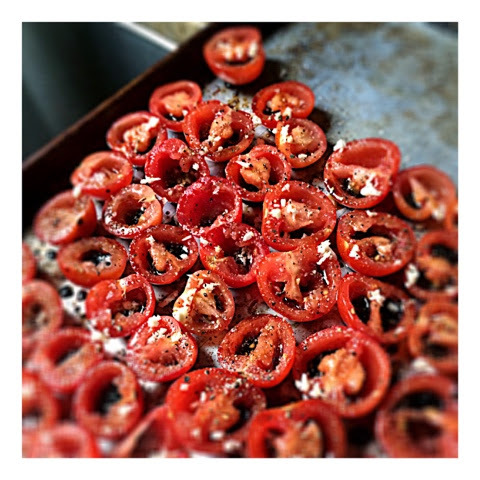 Arrange tomato halves in single layer on baking sheet. 5. 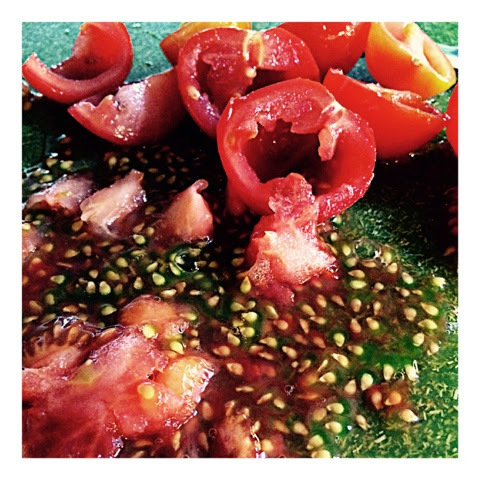 Drizzle with olive oil, balsamic vinegar (or syrup), garlic, salt and pepper. 6. 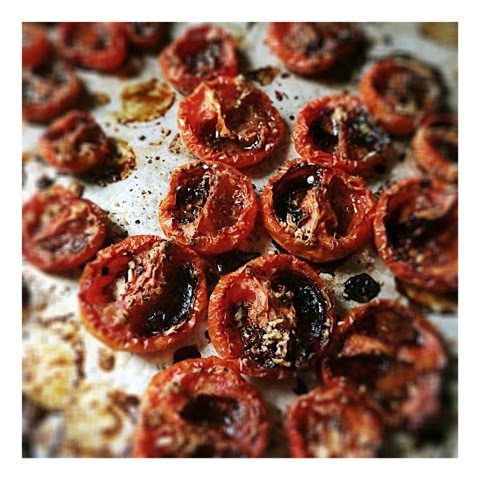 Roast your tomatoes for 1 1/2 to 2 hours at 275F degrees. Remove from oven and cool. 7. 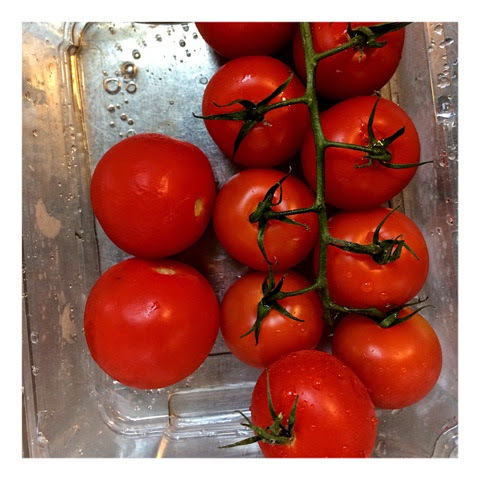 Prep a platter of mozzarella or fresh crusty bread and layer with roasted tomatoes, balsamic glaze, fresh basil and olive oil. 8. 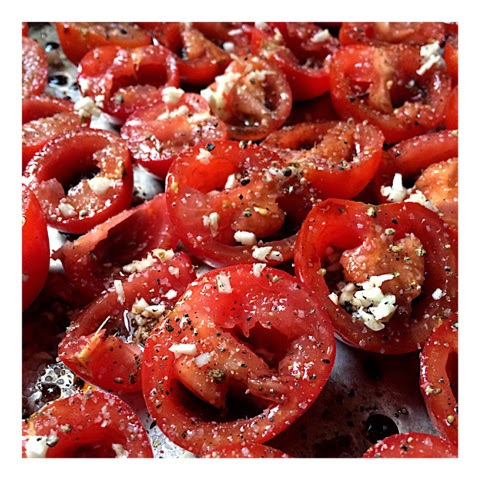 Or, boil some pasta to toss with the roasted tomatoes--simple and delicious. See what you think. If you like what you are eating, leave me a comment. Would really appreciate some feedback.